Rare are my opportunities these days to just sit and read a good book. But when I do have time, you’ll generally find me with my nose buried in something that will help me improve my technical or writing skills, or learn something new about online marketing or promotion, or to stay current with what’s going on in the world of travel publishing. 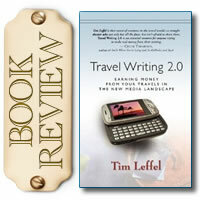 So with the Kindle version of Travel Writing 2.0: Earning Money from your Travels in the New Media Landscape by Tim Leffel burning a hole in my digital pocket, I gleefully sat down last week to read through one of the most recent books to hit the market on becoming a travel writer in today’s increasingly multi-media environment. Travel Writing 2.0 is at the TOP of my recommended reading for anyone eager to become a travel writer. Tim has a unique approach to the subject, which is that – in addition to imparting his own knowledge and experience – he incorporates opinions and advice from a good number of other travel writers and bloggers, a collective of those who have achieved a level of success. The result is that Travel Writing 2.0 feel less like a “do this then do that” lecture and more like an instructor-led discussion group. Refreshingly honest and forthright, this book is no paean to the often illusory world of travel writing. My goodness, what a buzzkill! Thank god someone is finally telling the truth! Sometimes buzzkills are necessary. 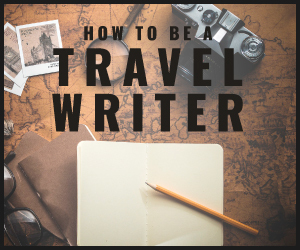 My inbox is often filled with hopeful, pleading missives, “I love to travel and think I’d like to become a travel writer, how do I get started?”. I struggle each and every time with a reply, not wishing to dash the dreams of another, but not wanting to mislead either. 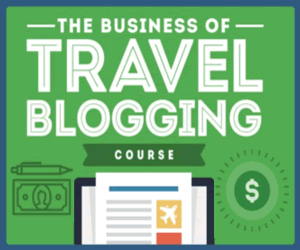 Travel Writing 2.0 gives voice to the bottom-line truth that few want to hear or talk about, which is that, regardless of what siren-call promises are made by most online courses about making six-figure incomes and traveling the world for free on an endless vacation, it ain’t likely to happen. This is a tough, tough business to make a living at – not that no one can, some do very well, but the truth is that most don’t. Most travel writers work extremely hard for miserably little compensation, and have little time to actually enjoy the traveling that they do. And those are the ‘successful’ ones. First let me say that this is NOT a book about how to write, or how to improve your skill at writing (aside from several reminders that in order to get good at anything, one must practice a lot), or how to become a writer. In order to become a professional writer you simply must have some skill and experience, and he assumes – rightly so – that you should come to this book with those already under your belt. This is a book about the business end of being a travel writer and how to make a living at it. And as such, I think it’s brilliant. Tim’s unvarnished approach makes clear that the only reason anyone should get into/be in/stay in this business is for a love of writing. Loving to travel is great, but loving to write is a must. Not just a passing crush, but a passionate love. Of educating others through words. Of inspiring others to travel. Of making the world a smaller place, more connected, by helping others to see it through your words. And this is what I really liked most about Tim’s book. Although full of good practical advice, he doesn’t sugar-coat anything, doesn’t gloss over the harsh reality of actually getting paid – or not getting paid – to write. Buzzkill it may be, but it needs to be shouted from the rooftops. All that said, it’s really not a total downer – amongst the many caveats there are some very inspirational moments of hope when the book’s good advice shines a flashlight down the dark path, leading a way forward that can lead to success, if one is determined enough to follow it…..the advice as well as the path. Another thing I truly loved about this book is that it’s also filled with practical, useful tips that range from examples of query letters to what types of expenses freelancers can write off on their taxes. An editor is not your psychiatrist, your life coach, your writing instructor, your spell checker, your grammar doctor, your personal Googler, or your travel planner. Some rare ones may befriend you and nurture you if they feel like it, but each one is a customer buying something from you in a business-to-business transaction. A customer with very real time constraints and a career-hardened lack of patience for ineptitude. Amen to that. All editors think this, few actually voice it in such a straightforward manner. 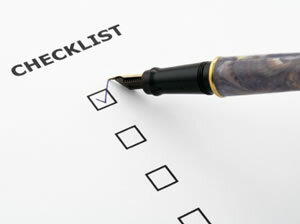 Over the many years that I’ve been both a writer and editor, the one sure way for a writer to get on my personal blacklist is to turn in sloppy work because they believe that it’s an editor’s job to fix it. The only reason I’ve ever bothered to fix what a writer has turned in (and only on those rare occasions where I haven’t simply rejected it outright) is because I care about the reputation of the publication, NOT about the reputation of the writer. So BRAVO Tim for such a well-stated and much-needed reminder of something that should be first and foremost in every writer’s mind whenever they submit anything for publication. I honestly found it difficult to find something about the book that needs improvement or that I’d have done differently, so my only cause for pause was that I had some trouble with the flow and organization – there were a couple of places where I simply wanted some of it to be ordered differently, mentally rearranging a few paragraphs or parts of chapters, and a bit of repetition that I felt could be condensed. However, I realize that there are as many different learning styles as there are students, that another reader might truly appreciate the order, and that often repetition is necessary for comprehension. I have definitely put Travel Writing 2.0 at the top of my recommended reading for anyone eager to become a travel writer. Because if a wanna-be writer finishes this book and is still determined to follow their passion into the world of professional writing, then he or she will stand a much better chance of actually becoming one of the lucky, successful ones. Award-winning travel writer and value travel expert Tim Leffel is author of The World's Cheapest Destinations and the Travelers' Tales title Make Your Travel Dollars Worth a Fortune: The Contrarian Traveler's Guide to Getting More for Less, and the co-author of Traveler's Tool Kit: Mexico and Central America. Frequently quoted in the major media, Tim has circled the globe three times and dispatched articles from five continents. 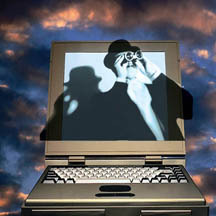 He is editor of the highly regarded webzine PerceptiveTravel.com and also edits the Practical Travel Gear blog. This entry was written by Trisha Miller, and posted on Monday, April 25th, 2011. Great review, Trisha. Definitely sounds like a must-read for established travel writers, not just those hoping to break into the business. Thanks JoAnna! I totally agree with you – there is a lot of valuable information that even established travel writers may not have thought of and would benefit from…..and after all, they know better than anyone the challenges of earning a living in this industry, so would not be at all put off by the truthful warnings…..no doubt they’d be shouting “amen to that!” right along with me. As a travel writer myself, it looks like I’ll have to make this a “must read”. 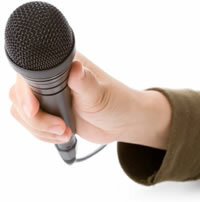 I’m hoping to scale up my business and am looking for a good resource to help out and provide a blueprint. I’ll write back with a review after I finish the book. Thanks for the tip! I’d love to hear your opinion on Tim’s book as well!